During the holidays, children of the elderly often are shocked to realize their parents are malnourished or unsafe in their home environment. Here are four solutions to help improve seniors’ quality of life and increase their children’s peace of mind. Hunger and malnutrition are very real problems for America’s seniors. A study commissioned by the Meals On Wheels Association of America Foundation found 5 million American seniors are at risk of malnutrition, 2.5 million are at risk of hunger and about 750,000 experience hunger. Among the many causes of malnutrition — financial limitations, medications and depression — are physical problems that can limit seniors’ ability to shop for and prepare meals. There are a variety of programs to help seniors get proper nutrition. If an individual doesn’t qualify for federal or state nutrition programs, consider a service like Mom’s Meals. Mom’s Meals is a service designed around doorstep delivery of tasty, nutritionally balanced, freshly prepared meals to meet the needs of our aging population. Each meal, priced as low as $5.99 plus shipping, contains fresh foods, is microwaveable and will keep in the refrigerator for two weeks. Mom’s Meals offers 45 unique meal choices, including specialty choices like low-sodium, low-fat, gluten-free and more. Caregivers who are trying to keep loved ones safe and secure in their home environment may want to consider the Philips Lifeline personal emergency response system. Lifeline includes a wearable, waterproof pendant for fast access to help 24 hours a day, seven days a week. The CareGiver Partnership offers its customers a special discount on the Philips Lifeline service, including free activation, up to an $80 value. The My Health Phone is the first of its kind to combine communication with health care management. In addition to offering fully functional cell phone capabilities, it also allows a senior to check in to a caregiver via a call, text or e-mail; set up medication reminders; and store electronic copies of emergency medical directives. Visit The CareGiver Partnership for more information on no-contract pricing. 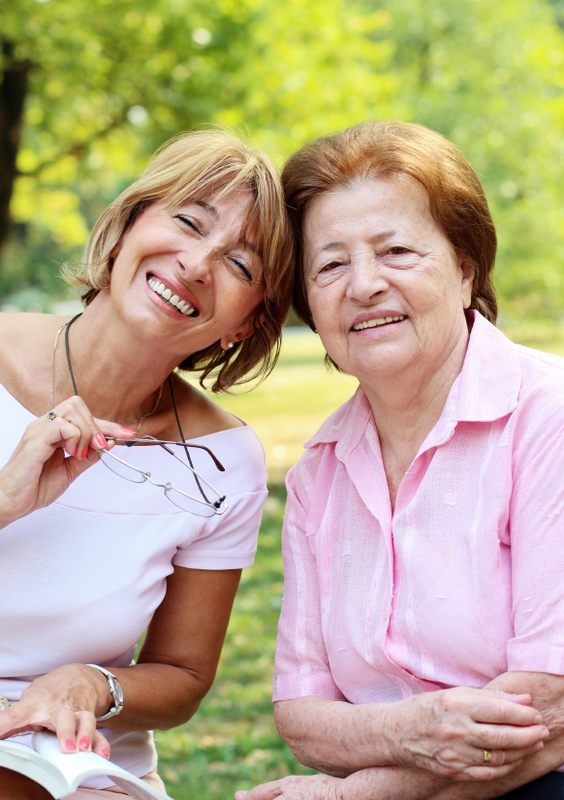 If an elderly loved one needs in-home care, respite care, personal care or companionship, Visiting Angels is a national, private-duty network that provides nonmedical senior care. The customer chooses the services, selects the caregiver and dictates schedules for feeding, bathing, etc. Caregivers are continually monitored through telephone check-ins and home visits to ensure recipients are cared for according to the standards of Visiting Angels. For personalized assistance with these and other caregiving solutions, visit The CareGiver Partnership’s Web site or call its team of experts at 1-800-985-1353, Monday through Friday, 9 a.m. to 4 p.m. Central Standard Time. Using Adult Diapers That Work Great!